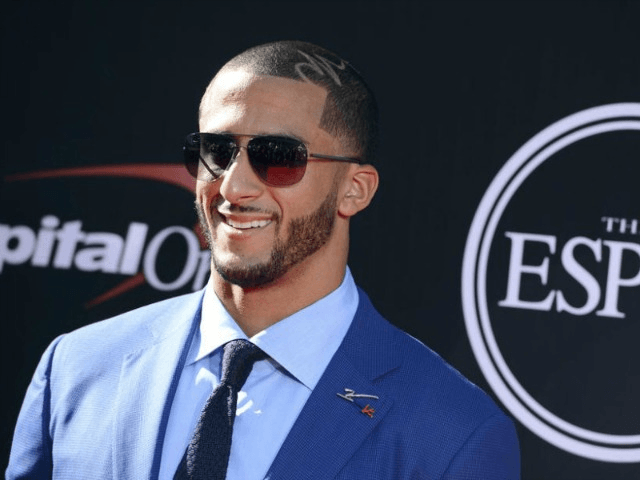 Harry Edwards, a sociologist and activist at UC Berkeley who has encouraged black athletes to speak out politically for years, spoke to the Smithsonian about featuring Kaepernick after his anthem protest last year. Edwards then gave several items of Kaepernick’s to the museum curators with the expectation that they will get displayed sooner rather than later. Edwards sees Kaepernick most like Ali, in the sense that both men created a conversation. Edwards explains, “Ali created a conversation. The conversation was going on at lower frequencies, but when the world champion steps forward and says, ‘No Viet Cong ever called me a (expletive), and we have some issue we need to deal with here, not over there in a war that make no sense,’ it moved the discussion to another level. The idea that there wasn’t a “national conversation” about race before Colin Kaepernick showed up on the scene is beyond ridiculous. In fact, especially in light of Barack Obama’s presidency, Trayvon Martin, Ferguson, and numerous other racial flashpoints, the locomotive of racial conversation in America was chugging along at full steam long before Kaepernick planted his hind-quarters on the bench during the national anthem. In fact, if anything, Kaepernick shifted the conversation away from race by first sitting, and then kneeling for the anthem. The debate Kaepernick sparked actually had nothing to do with race. Instead, Kaepernick started a national conversation about the flag, the anthem, and whether or not kneeling for the anthem was disrespectful to the military, in many cases even unifying blacks and whites behind the idea that protesting the anthem was inappropriate and wrong. Now, Kaepernick, the man who cared so much about the cause of black people and social justice that he couldn’t be bothered to register to vote, will get a place next to Ali in the Museum of African American Culture. I wonder if the Kaepernick statue will be wearing ‘pig cop’ socks?